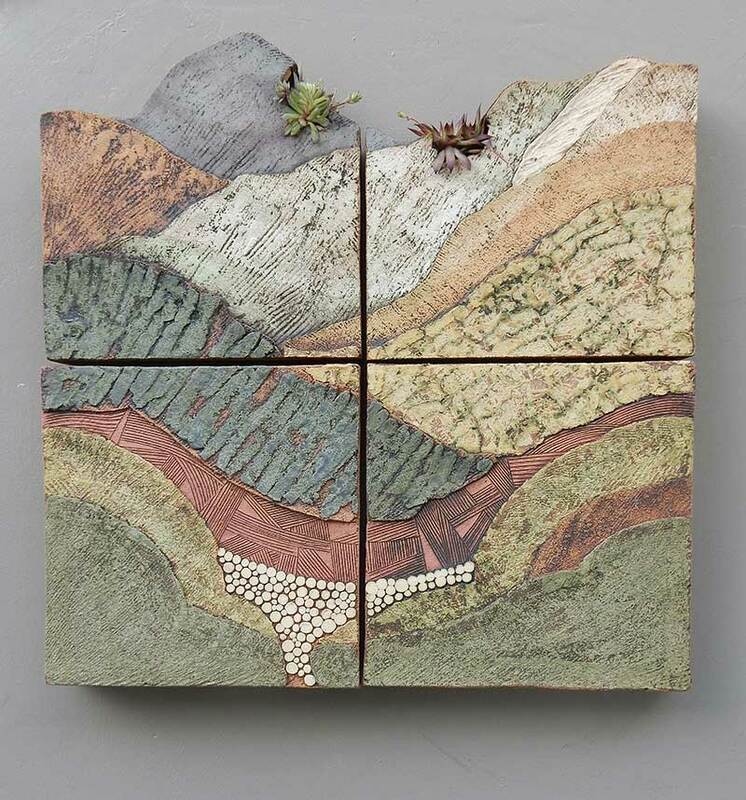 Surfaces are often richly textured and much of the work incorporates landscape-based abstraction that reflects and responds in particular to the Lakeland Fells that lie on my doorstep and on which I enjoy walking. I am constantly searching for new ways to respond to the landscape and every walk on the fells contributes to this. 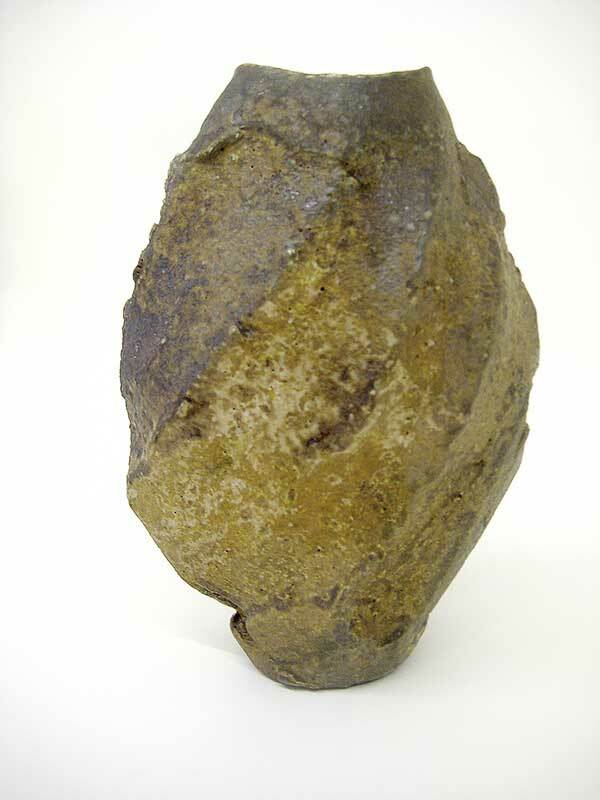 Craft-crank is used, fired to 1250°C in oxidation, only limited use is made of glazes with colour coming from metal oxides and high firing slips. On occasion multiple firings are employed to allow for further refinement of the ‘painted’ surface. 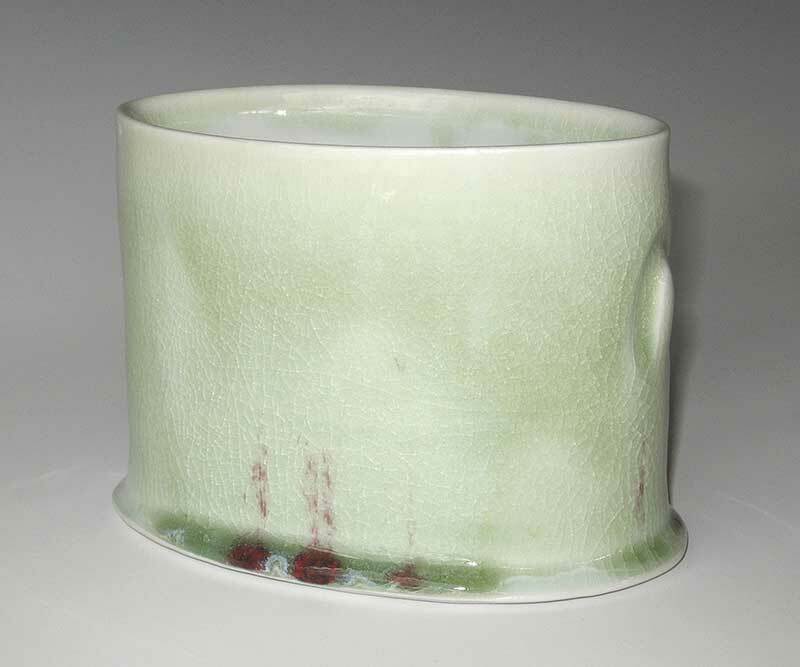 Hand-built work, exploring the nature of porcelain’s translucency, fineness, colour and textural softness. 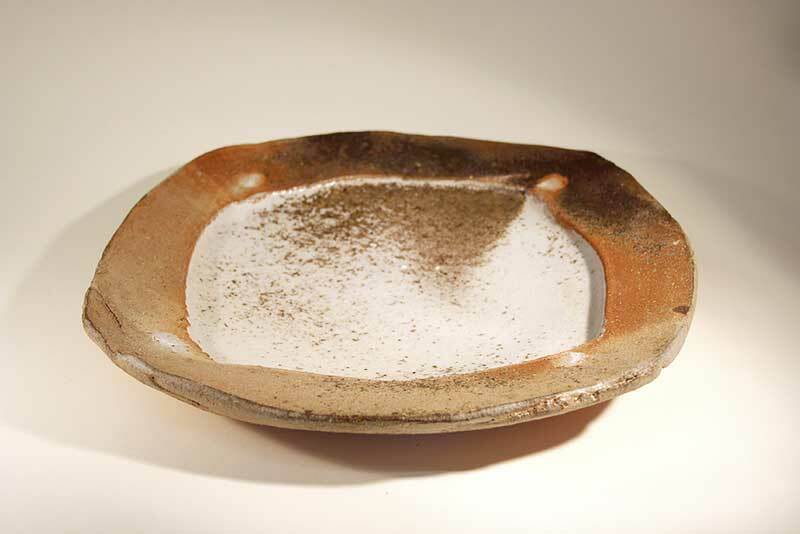 The work is fired to 1260 degrees, once or twice, mostly without glaze but often with body stains. The finished work usually requires mounting on or casting in other materials to support the delicate and fine structures. 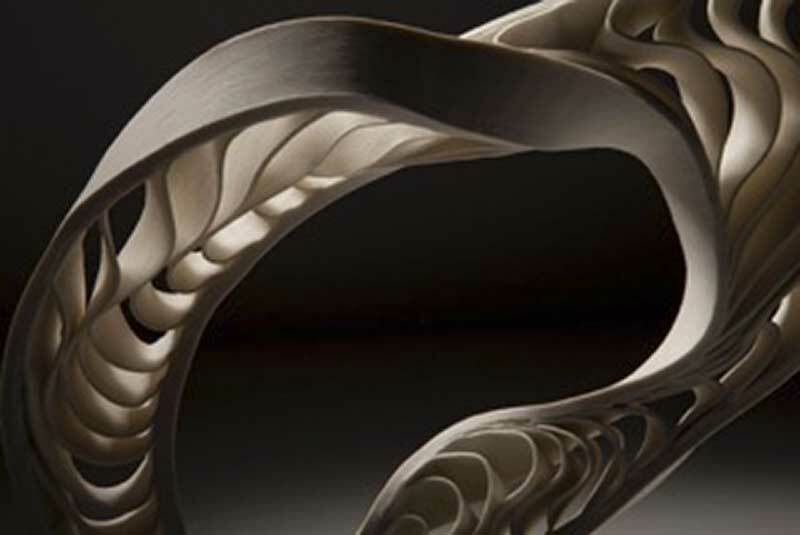 Although made with different approaches to hand-building, all the work is made of many parts brought together into a cooperative whole which alter with light and angle of view. 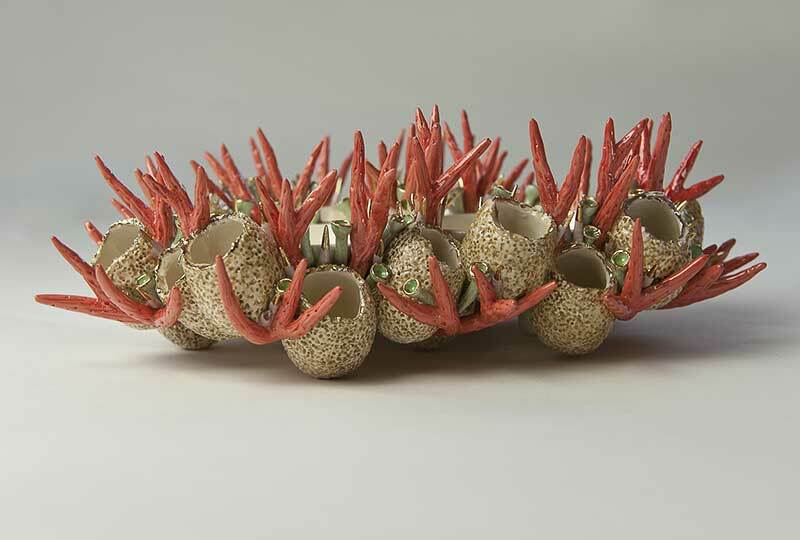 The ceramic forms I make have been influenced by the delicate and fragile nature of the living organisms found in the sea, I like their gentle flowing, how they take shapes and the pattern of their surfaces. 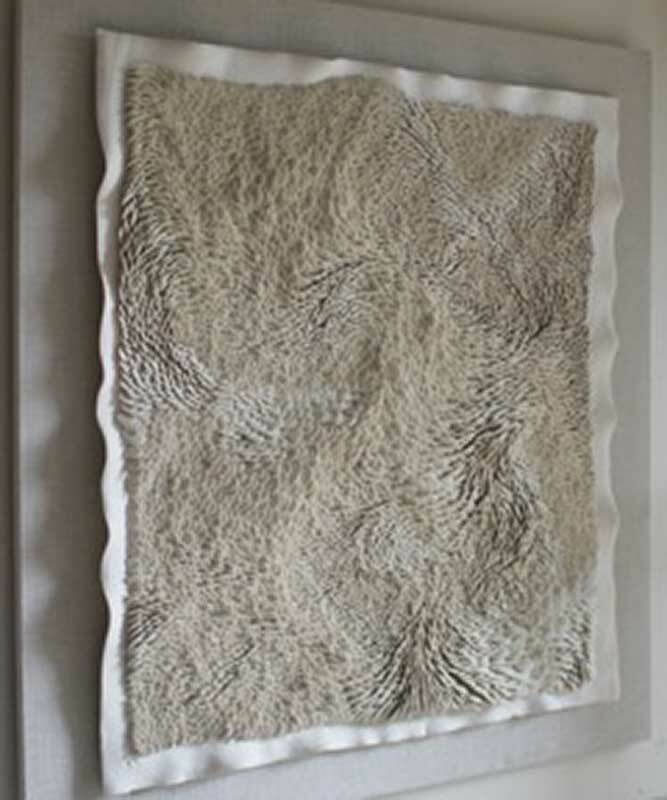 My pieces are mostly about surface decoration and the form has become the canvas in which to set up the ideas. The egg shape form has a deep symbolic meaning . For example in the teapot, used for century as an utilitarian item, I recognise the strong association with domesticity and in its rounded shape the basic human form, hollow, containing and comforting, suggesting a new and precious life. My aim is to make objects which goes beyond use, to be visually attractive, rich and jewel like in the work of Karl Faberge but the very decoration that draws you become a type of barrier, a shield. I use a SP porcelain clay and my making combines hand building, press moulding and slip casting. 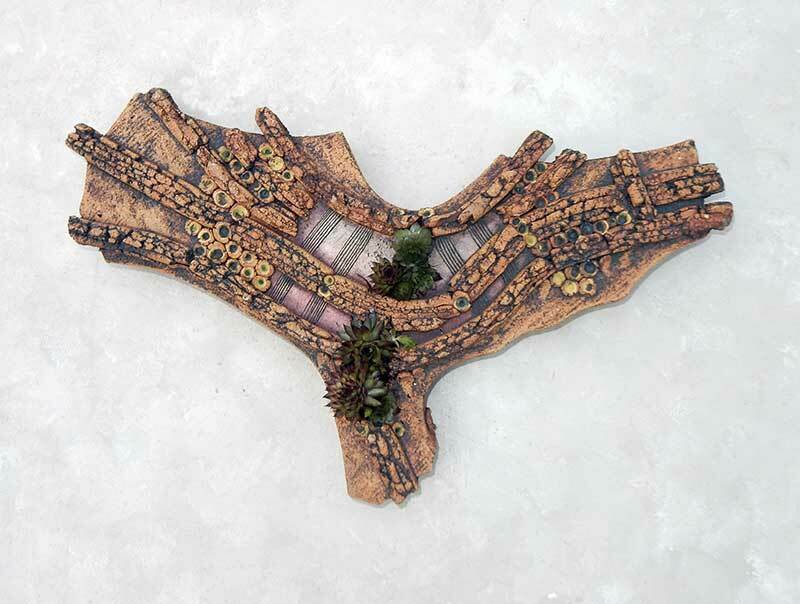 I fired my work in a kiln 3 or 4 times at different temperatures. At this stage I will paint the vessels with oxides and colour stains and re-fire to fix the colours. Now it is ready for the glaze firing at 1080 degree centigrade. My glaze id Led based. After the glaze firing the object is ready for the lustre ( gold or others) firing at 750 degree centigrade. 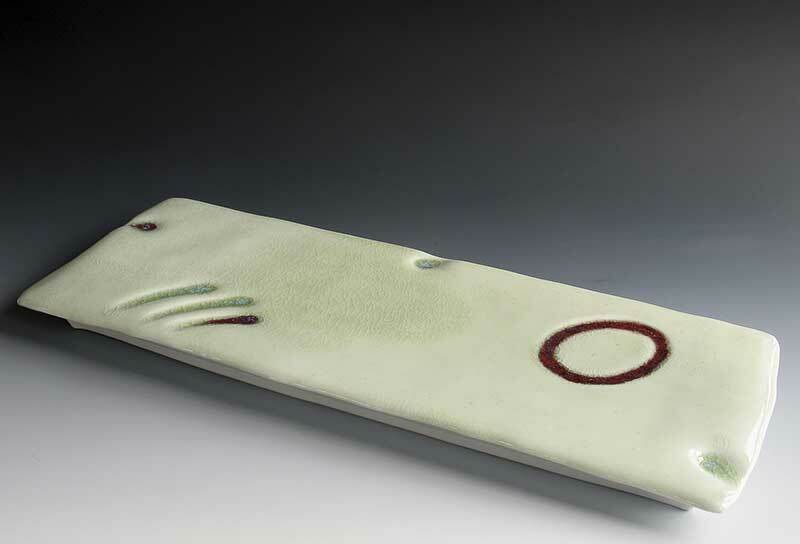 I make porcelain and stoneware pots with porcelain slips and glazes. Platters for sharing food, bottles, jars and vases are favourite forms. Work is either thrown on the wheel or freely built from thrown and slabbed sections, keeping the forms simple and strong. I love clay in its plastic working state, so this is when I do much of the work, playing with gestures, finger markings, textures, forms and edge lines. A quest to retain that immediacy of clay, responding to touch, subtly energising shapes and developing a rich tactile quality. After the pots are made, I work with multiple layers of high temperature glazes to build up colour and surface quality. 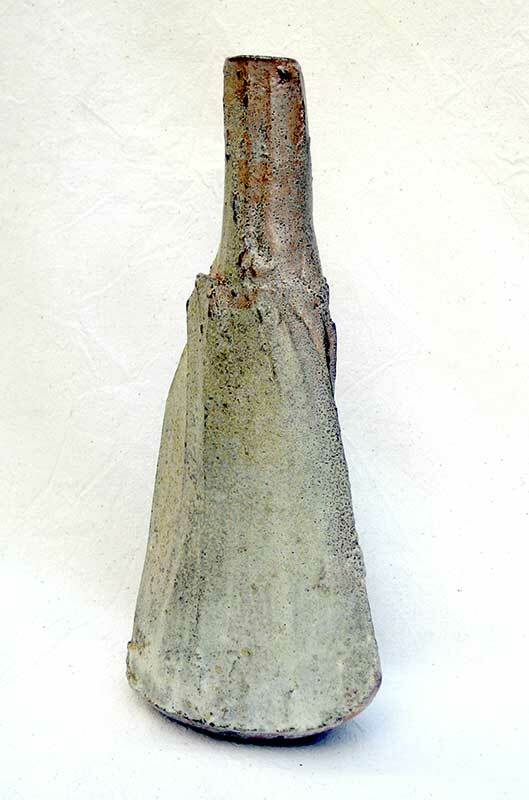 Glazes include celadons, fluid wood ash glazes, high silica white and a copper red used for highlights. Work is fired in a gas kiln to 1300 degrees (reduction). 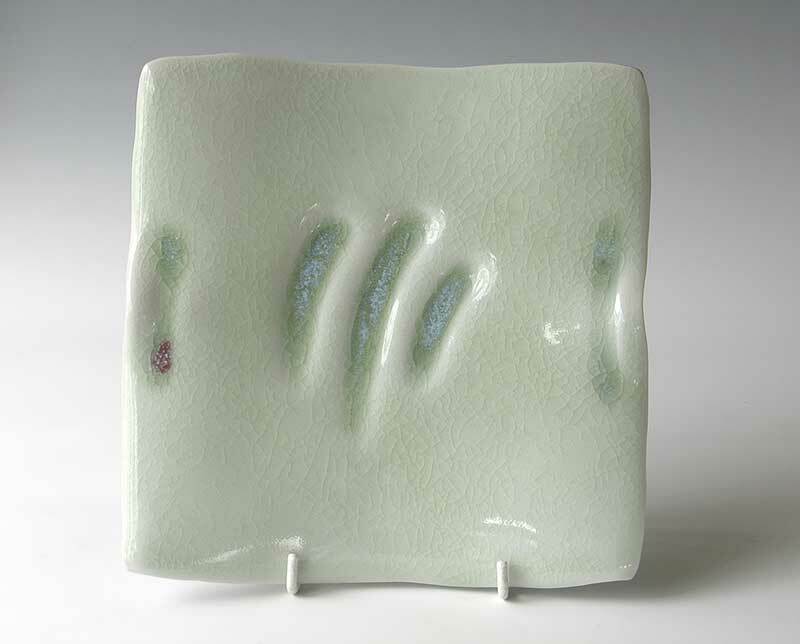 I studied ceramics at Camberwell School of Art, London and have been a Selected CPA Member since 2008. I have exhibited widely in the UK and work is held in several private collections. My studio is situated in Wood Dalling, North Norfolk, south of Holt (8 miles) and north of Norwich (17 miles) . 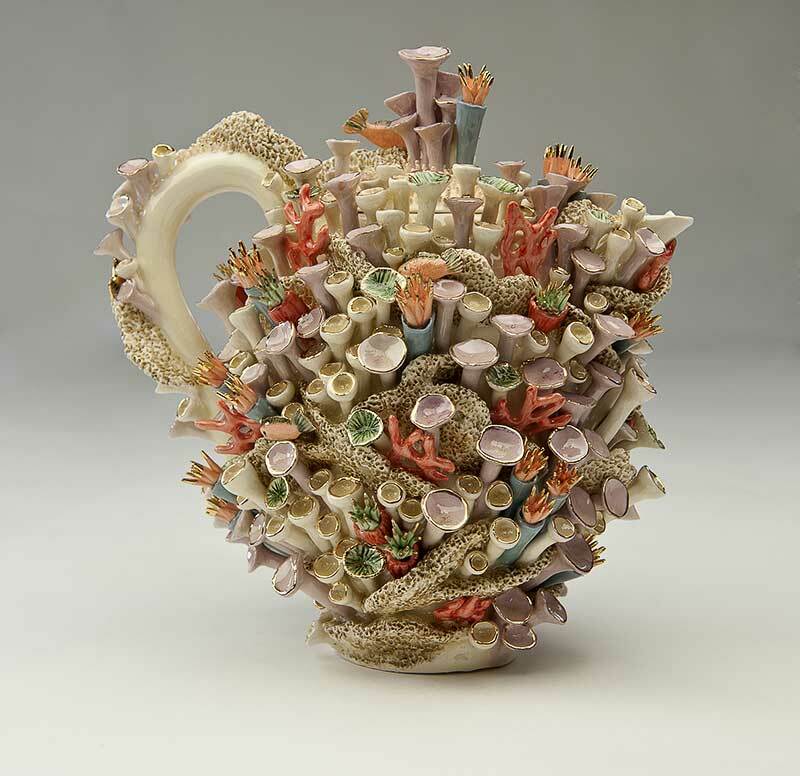 Greek born Katerina Evangelidou studied ceramics at the West Surrey College of Art and Design (currently UCA). 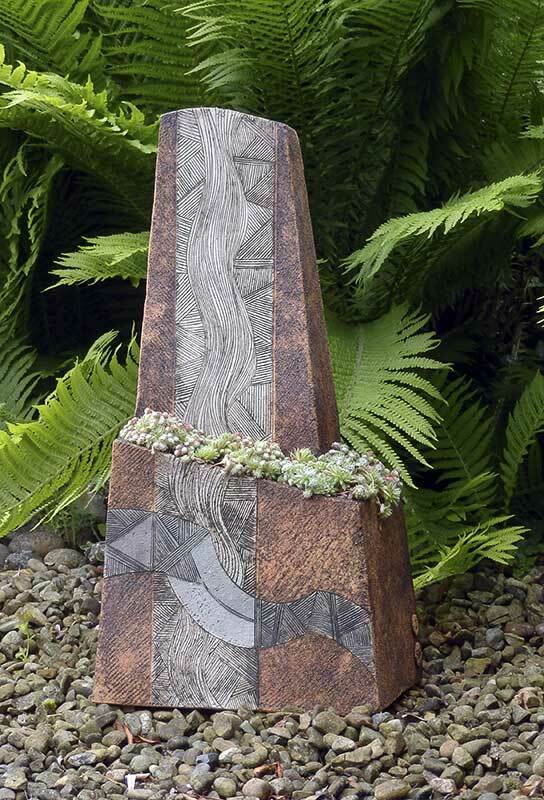 She established her studio in the mid 1980’s in Farnham, Surrey where she lives, works and teaches. All the work is made on a kick wheel and often thrown in more than one piece. Still on the wheel, the work is then altered, reformed, wire cut and, on occasions, re-thrown. The forms have echoes of ancient Cycladic and Archaic Greece sculpture, whilst the textures are reminiscent of the intriguing qualities of classical Greek marble fragments of drapery responding to the body structure beneath. All ceramic pieces are fired to stoneware temperatures of 1300°C in a wood firing kiln with small amount of salt introduced towards the end of the firing. Wood ash and salt combines with the clay body and slips to give a distinctive surface quality. 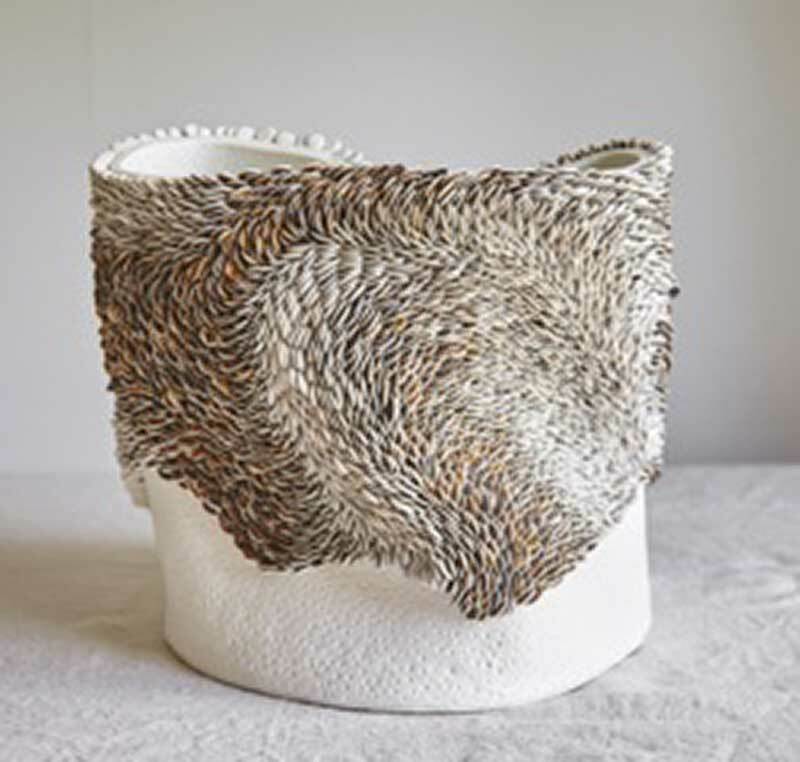 The form, texture and the manipulation of the firing are designed to interact with each other and are inseparable in their contribution to the finished object.